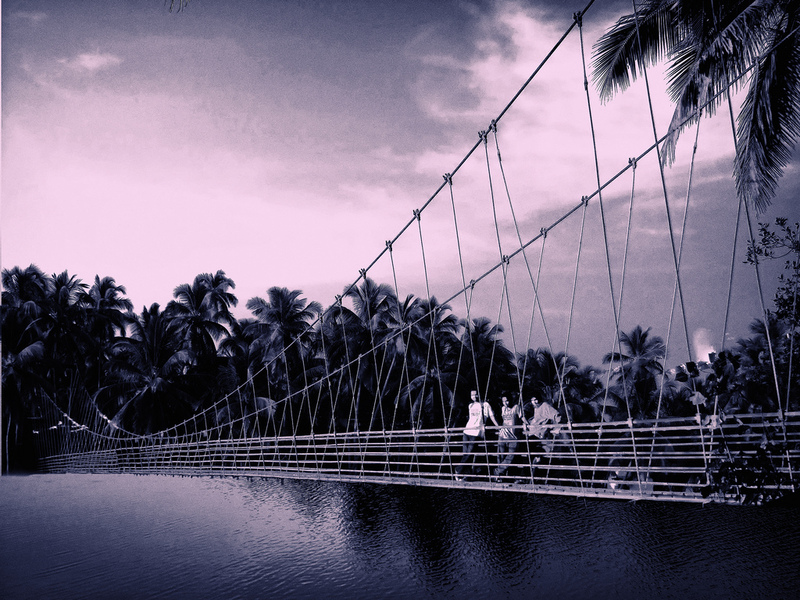 A mere 20-25 minutes away, the Hanging Bridge suspends quietly within the dense forest of the Manipal Delta. Built in 1991, the Hanging Bridge fits into its surroundings like a picturesque snapshot from a time that has long passed. Refusing to bend to the will of time, this feeble yet surprisingly stable bridge is perfect for a quick getaway from the stressful life of a medical student. It’s a convenient 1-3 hour trip depending on how long you decide to stay. The Hanging Bridge can be quickly reached by motorcycle or scooter. The drive there was relatively smooth minus the obvious potholes. The route was also very reminiscent of what my friend described as an “out of an Indiana ]ones movie scene.” Once we arrived at the bridge, we came to find out that the first bridge was not actually the “Hanging Bridge” (The Hanging Bridge is further down on the same road). 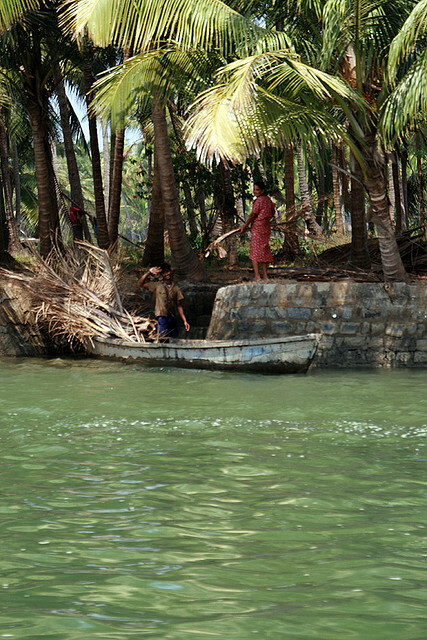 Then, we found a very friendly fisherman who agreed to take us for a boat ride. The boat was not so much of a boat, but more like a canoe. Embarking from the shore, we stealthily navigated the waters in a snake-like fashion as the palm trees formed a roof-like canopy over us. We cut through the motionless water effortlessly and it seemed as if the rules of gravity no longer had possession over us. While we were floating, words were rarely exchanged because we did not want to disturb the serenity we were witnessing. We lost ourselves in a fantasy world, far from Manipal. I highly recommend that when you do see the first bridge, stop and see if a fisherman is nearby so you can catch a ride on a very calming and beautiful detour. The ride also took us under the actual Hanging Bridge, which was further down the river. made our way across the bridge, moving as if the very ground beneath us would give away at any moment, plunging us into the depths below. We braved through, claiming a spot for ourselves in the middle of the bridge. Sitting with our feet dangling over the edge, we enjoyed the view that gave us a glimpse into time – a view that probably had remained the same for the last thousand years, pure and untouched. With the bridge rocking to the swift winds, we were living in the moment, a feeling that is lost in too many of us. Remember, while traveling to the Hanging Bridge, try to be there around four in the evening to be able to catch a boat-ride and watch the sunset around five thirty — a sight you wouldn’t want to miss. It is out of this world. Find bliss in getting lost. Break barriers, strengthen bonds, and venture into unknown frontiers.